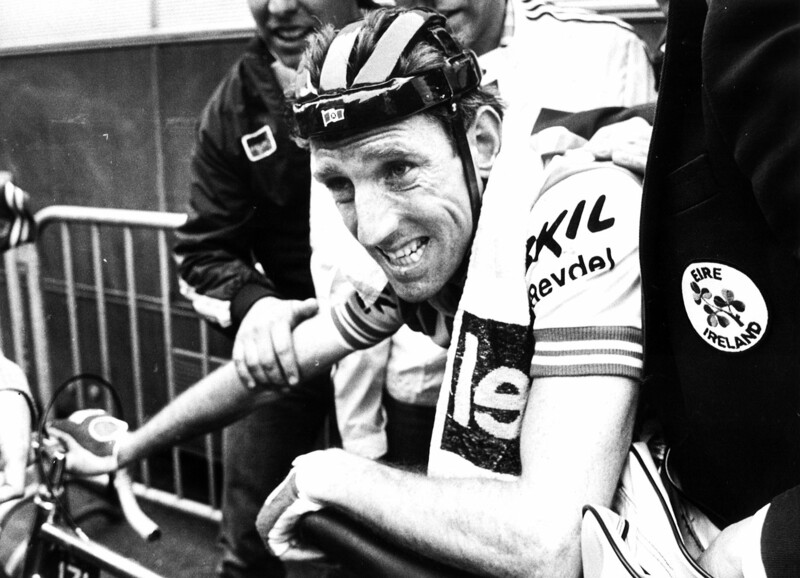 The leading Classics man of his generation, Sean Kelly epitomised a style of riding and character of rider that is now long gone from the peloton. Resolutely old-school – he famously was one the last riders to adopt clip less pedals – his dominant period (during which he was the leading points scorer for a record six consecutive years) straddles the modernisation of the sport in the mid-Eighties. Riding predominately for Spanish teams, he excelled in the Vuelta – where he won 16 stages and took a memorable overall in 1988 – and also in Paris-Nice, which he practically owned for seven consecutive years. But it is record and his ability in one-day races that he is primarily celebrated for; filthy weathered Roubaix’s and desperate SanRemo’s; attritional Liége-Bastogne-Liége’s and grinding Lombardia’s. A quintessially hard man on the bike and notoriously taciturn in interviews off it, Kelly remains that rarest of things; an idolised enigma. Note – most online sources have Sean’s birthday as the 24th May but we are reliably informed (by the man himself) that the 21st is the right day. In some respects it’s ironic that the equally famously motor-mouthed Cavendish shares a birthday with the supposedly tight-lipped Kelly but the two men actually share a lot more in common that just the date of their birth. Cavendish is undoubtedly a purer sprinter than Kelly’s more varied talents (and he secured the one jersey that Kelly craved more than any other when he won the rainbow stripes in 2011) but the shared dedication to their craft and the single-mindedness needed to achieve year-in, year-out is plain to see. 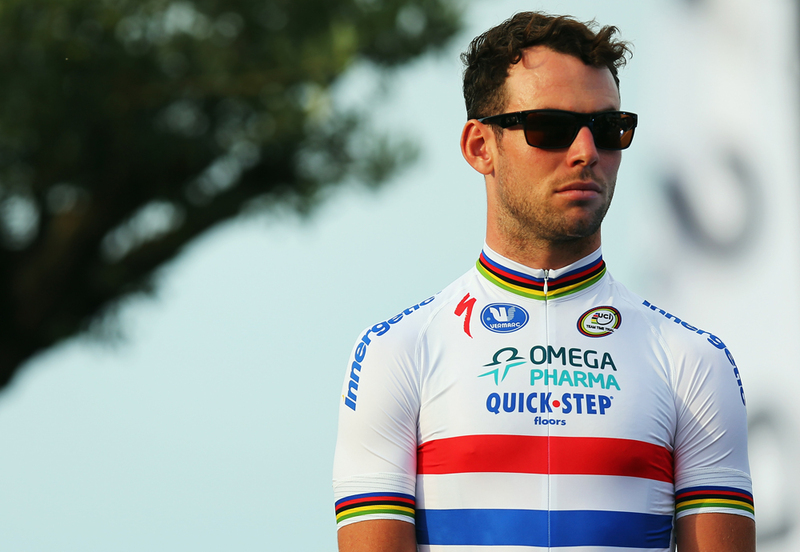 Cavendish burst onto the cycling scene in 2007 when his debut at the Tour de France coincided with its London and Kent based Grand Départ. He had already won his first Classic, at Scheldeprijs, earlier in the year and, for the first time in a over a decade, a British rider started the race with expectations on his shoulders. They proved fruitless that year but his burning desire to win was also plain to see as the famous temper got it’s first public airing when things started to go wrong for the T-Mobile team. It was another steep learning curve for the Manxman – who had already faced many to get that far – but if Mark Cavendish does one thing well (apart from sprinting faster than anyone else on the planet for the next 8 years) it’s learning from set-backs. He came back in 2008 and won 4 stages. And then just kept on going.. This entry was posted in Birthdays and tagged bradley, king kelly, mark cavendish, milan sanremo, paris roubaix, sean kelly, wiggins. Bookmark the permalink. The Return of Peter The Great?